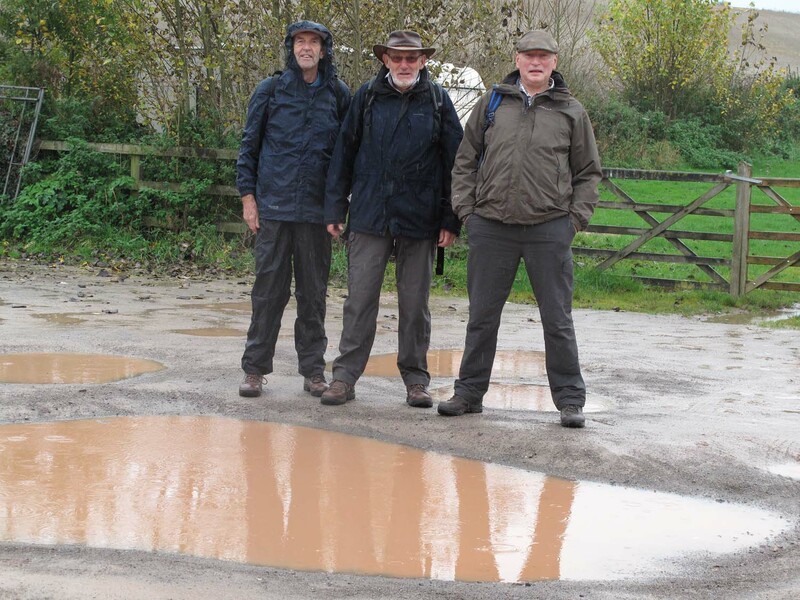 On Saturday 24th October 15 ramblers set off on the 5th section of our Kennet & Avon canal journey to Great Bedwyn for the start of our 9 mile walk to Pewsey. 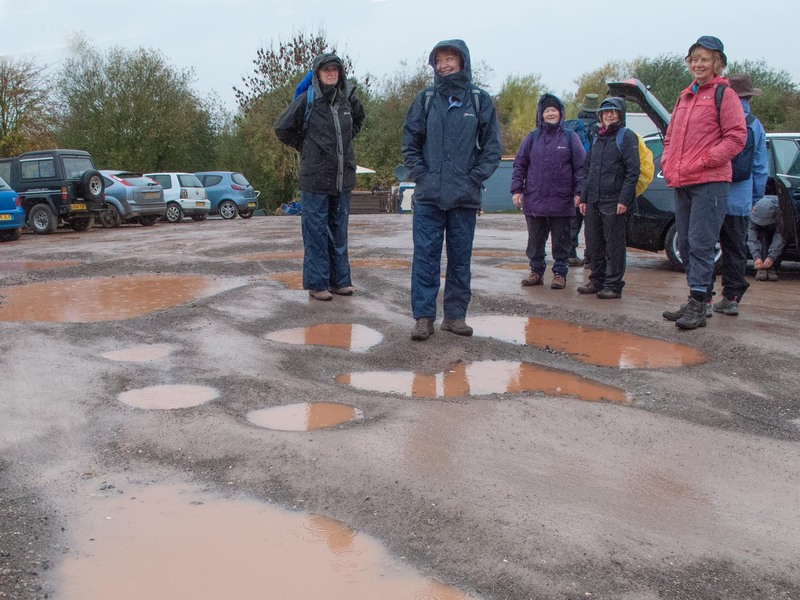 As there is no usable public transport between the start & finish points careful logistical planning had been required but all went according to plan and after a bit of “car shuffling” we all met up for coffee at The Cross Keys in Great Bedwyn before setting off on our walk. Not long after the start of our walk several lucky walkers were fortunate enough to see a Kingfisher flying along the bank on the opposite side of the canal. The site of this amazing bird made a few of us very happy and certainly made my day. After about 3 miles we passed the Crofton Beam Engine. The beam engine was originally steam but is now powered by electricity and is still responsible for pumping water to the highest point on the canal, thus ensuring sufficient water levels to keep the 52 locks to Reading (35 miles), and 47 locks to Bath (38 miles), stocked with water. Unfortunately the visitors centre was closed for the winter so with no opportunity to take a closer look we walked on to the next point of interest, the Bruce Tunnel. The brick lined Bruce Tunnel was built in 1810 at the insistence of the land owner Thomas Bruce, Earl of Ailesbury. It is 502 yards long and is the second longest navigable tunnel in the UK canal system. As there isn’t a tow path inside the tunnel we had to go over the top following in the footsteps of the horses which, in the past, were used to pull the barges along the canal while the boatmen pulled their craft through the tunnel by means of a chain hung along the wall. 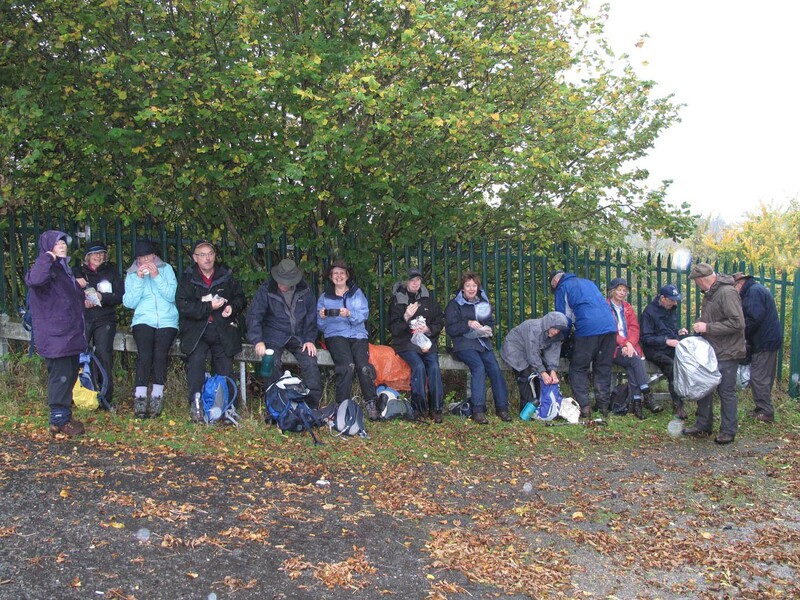 Arriving at Burbage Wharf we were all feeling hungry so decided to crack open our pack lunches. Unfortunately it had just started to drizzle again and as there weren’t many places to sit by the canal we made do with a crash barrier which curved away from the road onto a path between the canal & railway. We all huddled under a hazel tree trying to find shelter from the drizzle, not ideal, but spirits weren’t dampened and after a short stop we set off again suitably refreshed. After a mile or so we took a quick detour to the pub in Wooton Rivers for refreshments and a comfort break before finishing our journey at Pewsey wharf. The car drivers were then driven back to Great Bedwyn to collect their cars whilst their passengers had a well earned rest in the pub. We are all now looking forward to completing the next legs of our canal walk in 2016.